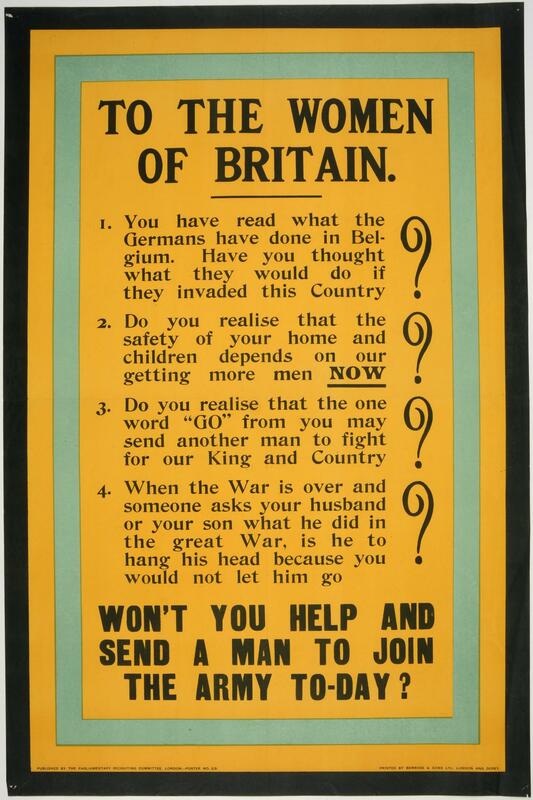 First World War recruitment poster; 'To the women of Britain. Won't you help and send a man to join the army to-day? '; published by the Parliamentary Recruiting Committee, London; poster no.69 This poster is urging women to persuade their men-folk to become soldiers. It is emphasising the danger to women posed by any German invasion of Britain and the shame of having a male relative who shirked his duty.